Even though I’ve lived in Montreal my whole life, something about the winter cold always shocks me. It’s really freezing out there and it’s like I completely forgot how frigid winter is! While there are so many things I enjoy about winter, like mostly skiing and après-ski cuddling, one thing I can’t complain about enough is how bad the weather is for our skin! I don’t know about you, but cold out there means heat on blast in here, which only means that the air gets drier and drier and my face just keeps getting more and more dehydrated. There are a few things I always keep on the top of my to-do list when it comes to my skin regimen around winter time: humidification round the clock, moisturizer routine day and night, drink a ton of water, and of course, chapstick game strong. I remember the good old days of Lancôme Juicy Tubes and Bonne Belle Lip Smackers, but these winters aren’t about the gloss and fruity scents. Nope. These weekly storms require deep lip therapy. I’m usually not a fan of lip balms that come in pots. I personally favour tubes, but Herbivore’s Coco Rose Coconut Oil Lip Conditioner is insane. With just a tiny dab, my lips feel hydrated. It’s great for dry skin with uneven texture (thinks flakes). It’s light but deeply nourishing. I love that it’s a Clean product and has natural organic virgin coconut oil, because coconut oil is like the Windex of my medicine cabinet! Sometimes I’ll try a new product, use it until it’s done and then forget it ever existed. This is not one of those products. 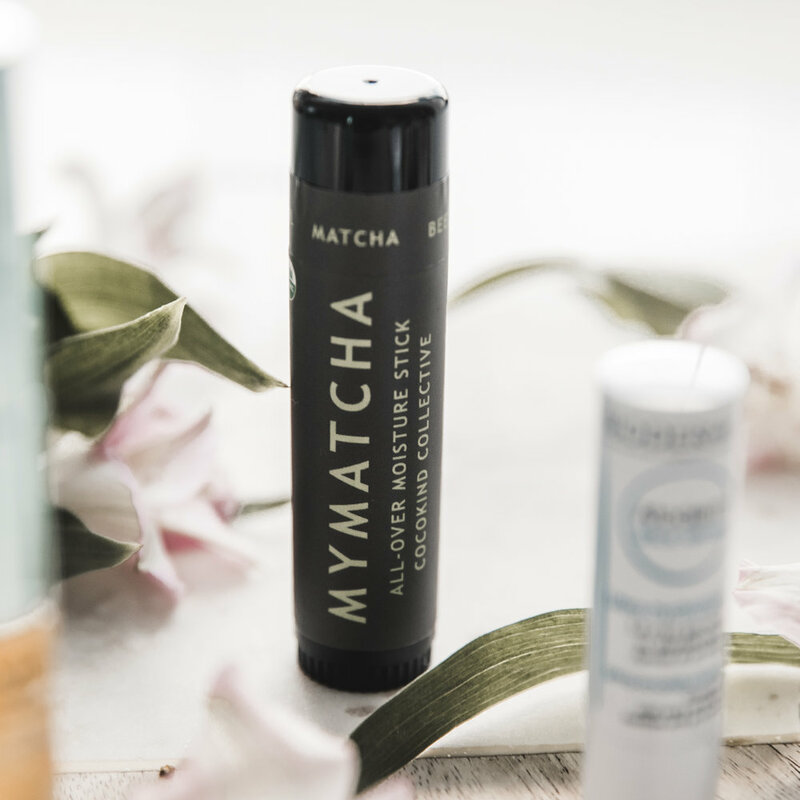 I rarely repurchase, but MyMatcha All-Over Moisture Stick works miracles and trust me, it truly lives up to the hype. I’d know… I’ve tried everything! A little goes a long way, MyMatcha moisturizes all day and then some. I also use it for patches on my skin; the catechins in the matcha powder are an antioxidant that nourish and protect the skin. I have a few sticks and keep them all over – my purse, my night stand, my cosmetic case, my car. A clean, vegan, anti-aging formula? Sign me up! 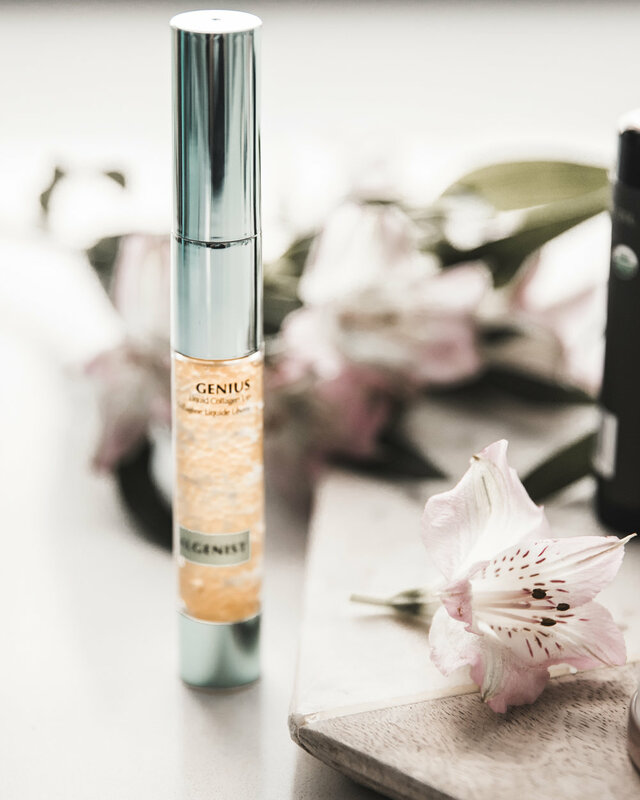 I tried the Algenist Genius Liquid Collagen and immediately got hooked! They claim they have the formula to maintain youthful vitality and my lips (and skin) feel firmer, fuller, and more youthful looking. It’s a fantastic source of natural vitamin E, which our skin needs in order to stay resilient and bright. I’ve recommended this liquid genius to almost all of my friends! I have a bunch of lip treatment that restore, nourish and replenish, but the Bioderma Atoderm Lip Stick also protects. Prevention, as we all know, is a wonderful medicine, and Bioderma serves up a powerful formula that penetrates deep with antioxidants and soothing conditioner. The key ingredients of shea butter, vitamin E, and Laminaria extracts all work to strengthen weak and damaged lips. I love that it’s super natural and its raspberry fragrance and hypoallergenic formula makes it great for children too! So many spas around town favour this brand and especially this balancing lip enhancement. Ormedic is also one of my personal favourites. It feels like heave on chapped lips and provides lasting moisture throughout the day for continued healing. Also, because it’s a healing treatment, it improves the appearance of volume and lip contours. I try to take such good care of my skin, I’m not about to let a little (or should I say an extremely long) winter get in my way. Diminishing fine lines and wrinkles with polypeptide complex that supports natural collagen in lips… yes please! While some people just complain about how harsh the winter is and the bad effects the weather is having on their skin, I actually do something about it! I am on the perpetual hunt for the best skin products and lip treatments. One could never have enough!